Dreadlocks are good to have. They make you look unique and noticeable. However taking care of them is not a small feat to accomplish. One of the major reasons why it is hard to care for dreadlocks is because of the formation of dandruff. People with deadlocks tend to have more DANDRUFF than those with other hairstyles. Many of the products in the market do not work well with dreadlocks because they lack the right ingredients to nourish the locs and keep them looking good always. Regular washing of the dreadlocks is one sure way of grooming them to grow well. Some people may lie to you that dreads do not need too much washing but that is not the truth. They are just like any other hairstyle and you need to keep it clean. Finding the right shampoos and conditioners for dreadlocks is another daunting task. You need a good shampoo with the right ingredients and a shampoo that will stop the itching, the dandruff and moisturise and strengthen the scalp and the locs. We made it easier for you by reviewing some of the best deadlock shampoos and conditioners in the market as listed below. 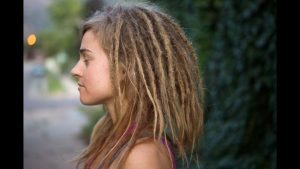 Some people have the belief that dreadlocks are dirty and hard to maintain. Dreadlocks should not be hard to maintain when you have the right products. You can have the best dreadlocks by using Knotty Boy Dreadlock Shampoo Bar. The shampoo has a long lasting and an all-natural formula that works to get rid of problems people with dreadlocks encounter in their quest to have great looking dreads. Some of the problems occur during the process of putting the dreadlocks and others come after the locks are in place. Before you even think of putting dreadlocks, you must make sure that you have a healthy scalp. With a healthy scalp, you will have the assurance that you will grow healthy dreads. Using knotty boy shampoo bar before you put on the dreads and after you put them is one way of ensuring you will have a healthy dreadlocks journey. The shampoos come in small batches that are rich in vegetable and organic essential oils. They do not contain any harsh cleansers or foaming agents. All the suds you get on your hair after lathering the shampoos is all natural and does not contain any softeners or chemicals. The shampoos are non-irritant and therefore ideal for every type of scalp and hair. The product also combats scalp itchiness and dandruff. It is cruelty free and 100% biodegradable. What even makes the shampoo bars more special is the amazing wonderful scent. You wash your dreadlocks with the grease-free shampoo bars and your hair will smell good the whole day. 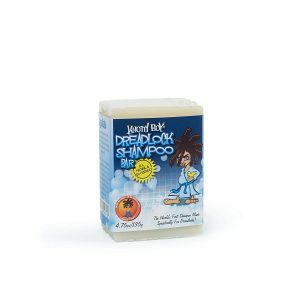 You want your dreadlocks to feel happy, then clean, moisturise and nourish them with Knotty Boy Dreadlock Shampoo Bar. If you are looking for a fast lather shampoo that will clean your dreadlocks and leave you feeling fresh, and smelling good, then use the rich design essentials oat protein & henna shampoo. The shampoo boasts of rich natural ingredients that cleanse your hair deeply removing all impurities and residues. The hair does all this without stripping the scalp of its natural oils. Many other clarifying shampoos in the market will not do your hair too good if you use them daily. You can however use design essentials every day or once a week on your dreadlocks without having to worry about your locks being damaged. The shampoo is also great for relaxed hair and those that like to use all natural products on their hair. Dollylocks professional organic dreadlocks product is a natural stimulating shampoo made with rich and pure organic coconut and botanicals. It is lightweight and leaves no residue on the dreadlocks. The shampoo cleans the scalp and the dreadlocks leaving them feeling fresh and moisturised. The shampoo has a pH balance and it is hypoallergenic. It has a soft zesty citrus scent that makes you hair smell wonderful. All the ingredients that go into making the shampoo are pure botanicals and organic coconut. Other ingredients that add to its potency are Distilled Spring Water, Olive Oil, Castor Bean Oil Almond Oil Grapefruit Seed Extract and the Essential Oils of Lime and Coconut. To use the shampoo effectively, wet the dreads first, and then massage Dollylocks shampoo into the scalp and work your way from the roots of the dreadlocks to the ends paying more attention to the scalp. Rinse the hair well and repeat the process a second time if you need to feel cleaner. A little of the shampoo goes a long way and lathers up fast. Maintaining dreadlocks does not have to be hard if you have the right products. We believe the above are some of the best organic shampoos in the market today and they will nourish your dreadlocks so that they can grow looking healthy and protected. They will make the dreadlocks last long and they are all easy to use. The shampoos are good for all skin types, as they contain no harsh chemicals. 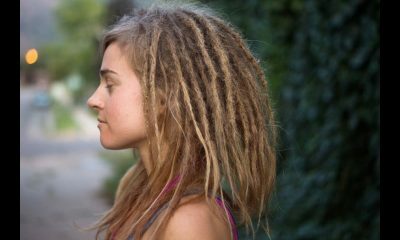 Make your dreadlocks laugh and swing by giving them some TLC with our best picks of the best dreadlocks shampoos and conditioners in the market.